Sheridan Reads returned again this year to write its second chapter! Sheridan Reads is a series of events developed from the One Book, One Community model. You can read more about it here. The program is designed to bring together faculty, staff, students, and community members across all Sheridan campuses to engage publicly with an important text. 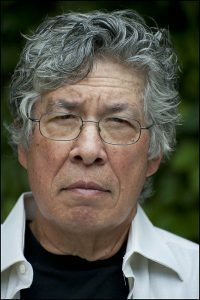 This year, FHASS presented Thomas King’s The Inconvenient Indian: A Curious Account of Native People in North America. 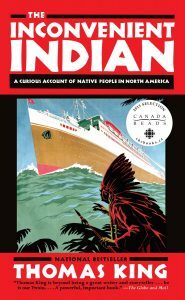 A National Bestseller released in 2012, The Inconvenient Indian is a series of witty and surprising non-fiction essays exploring indigenous history in Canada and interrogating the narratives that shape the relationships between indigenous and non-indigenous communities in this country. 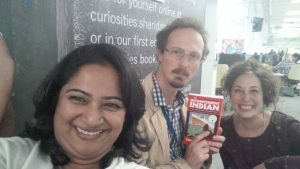 To build excitement and promote engagement for this exciting event, FHASS faculty and staff organized a book giveaway, distributing nearly 600 copies of King’s The Inconvenient Indian free of charge during week 7 of the Fall semester. All four Sheridan campuses were visited by a team of FHASS representatives, armed with free copies of the book for students and faculty. Students, staff and faculty were waiting and ready when the team arrived at each campus, hoping for a chance to get one of the free copies. While the team wished that everyone at Sheridan could be given a free book, preference had to be given to students. The widespread interest in the books demonstrated that both King’s visit and indigenous issues in general were of great interest to the Sheridan community. The flagship event of the 2016 Sheridan Reads program was a visit from author Thomas King himself. As FHASS’s contribution to Sheridan’s Creative Campus event series, King participated in a lively conversation with FHASS professor Alex Hollenberg (Storytelling and Narrativity) and Elijah Williams from the Centre for Indigenous Learning & Support at the Trafalgar Campus’s Macdonald-Heaslip Hall on Wednesday, November 9. A Q&A and book signing followed the event. On Wednesday, November 23, in the SSU Atrium located just outside the Marquee, FHASS presented the second annual Story Swap, in partnership with the Centre for Indigenous Learning & Support and the Sheridan Student Union. The theme for the 2016 Story Swap was “building community through story.” Community members were invited to submit their stories for consideration and the evening’s presenters included a range of professional storytellers, Creative Writing students, and off-the-cuff improvisers. The evening ended with a drum circle lead by Paula Laing, and a group photo taken in solidarity with the protesters at Standing Rock, ND. To conclude our 2016 Sheridan Reads programming, FHASS professors Peter Steven and Mike Baker (Film) organized and hosted an installment of their Film For Thought series on Tuesday, November 29, at the Davis Campus. The featured film for this event was actually a series of selected segments from the NFB’s First Stories films and from the current APTN documentary series Wild Archaeology, written, produced, and directed by Sheridan alumna and professor Tracy German, who was also in attendance. The film clips explored various portrayals of indigenous identity and ways of knowing, and proved an apt complement to King’s reflections in The Inconvenient Indian. Thank you to everyone who has been involved in this year’s programming. We hope you were able to read along with us and we hope to see you again next year!